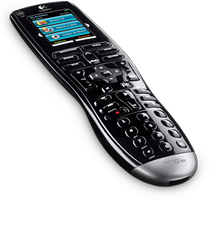 Modern Media Tech will program your Harmony universal remote for simple, intuitive operation. Put all your remotes in a drawer somewhere and use just one universal remote. With the push of an activity button(i.e. watch TV, watch DVD, play game) the remote will automatically turn all of your equipment on and to the correct settings for the specified activity. Programming of harmony universal remote control for use with equipment in the same room as the TV installation. Setup harmony user ID and password for future access. Provide a brief tutorial of how to use the remote. Custom programming of RTI, URC, Crestron, etc. Any electronics equipment or cables and custom wiring. Drywall patching, repair or painting.